"Galamsey" as is it commonly called in Ghana, it is an ill if not dealt with, will soon claim all the arable farm land in the country expecially the cocoa growing regions. it is a serious illigal mining system thas result in serious degradation of vegetation, lands and pollute major water bodies in the country. In recent years, this unwelcomed issue of land and water pollution have become of a great concern due to the alarming rate at which our farm land and water bodies are being destroyed by the irresponsible activities of both foreign and local illegal miners. 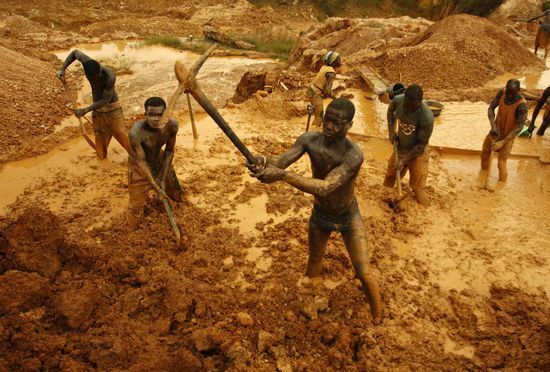 There is no retort that the operations of Galamsey which has become a national canker have left numerous acres of land across the country especially in the Eastern, Western, Central and Ashanti region in mining areas wild and degraded. The lands are also polluted, making it weak for Agricultural purposes. Chemicals used for extracting gold for instance, mercury, cyanide and other complex chemicals are discharged into the soil and these have dispossessed the land of its natural properties to perform it natural functions to mankind. According to Mr. Ernest Afrifa an Environmentalist at the School of Biological Sciences at the University of Cape Coast, “the situation is not dire but frightening because high volumes of harmful chemicals used in the mining process being dumped into these water bodies across the country” and added that the definition of pollution is relative to its usage, according to him, pollution is said to have occurred when the water body and land cannot be used for its original intended purpose and he also cited the presence of sand and other organic particles, sediments, mercury and cyanide in water bodies as the most common pollutants in Ghana’s water bodies. Why do we give a habitat to such an enemy Galamsey to oppose the interest of mankind to serve as threat, harmful and nemesis to our environmental freedom? By even forcing our citizens to drink what they are not willing to drink, all with the fact that they do not have any alternative raw filtered water and if that is the case what is the benefit of our independence from our colony. It means we are still being colonized with our irresponsible activities like Galamsey from the freedom of Godly free given natural resources. The reason being that in the report, there was scarcity of raw filtered water at that particular area in the country and therefore, they drink, cook, bath and perform all tasks with these available polluted water in spite of the risk of even contracting diseases such as cholera, dysentery, fever, amongst others. These same activities in that communities has cause the arable lands for farming very rare which has also contributed to the reduction in crop production from these areas in the country. 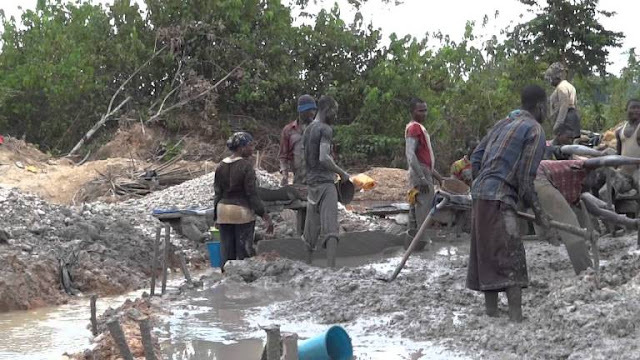 We urge the Ghana Chamber of Mines, the government and all stakeholders including the citizens to think of better ways to help solve this menace; otherwise we will wake up one day to find out that we do not have any potable water because all the water bodies, as well as our ground water, have been polluted through the unbridled activities of these illegal miners. 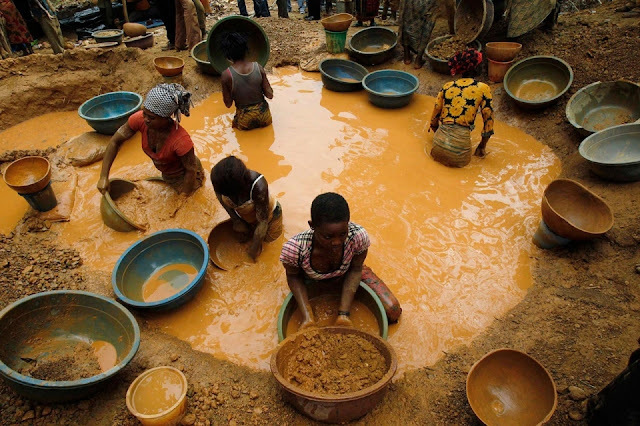 Each and every one of us should not forget that land plays an important role in production because land itself and the resources on it are usually limited and also, many of these natural resources are nonrenewable, meaning that their amount is fixed, and they can't be used indeterminately as illegal miners are abusing it today . Moreover, we the citizens must carefully manage our arable lands and its resources that include water even for our future generation but if we sit down idly, Galamsey the enemy will destroy all of these lands and water bodies in Ghana in a shortest possible time and before we will realize it will affect the entire country in a very few coming years and we will compelled to opted to import food and water before we can eat and drink. 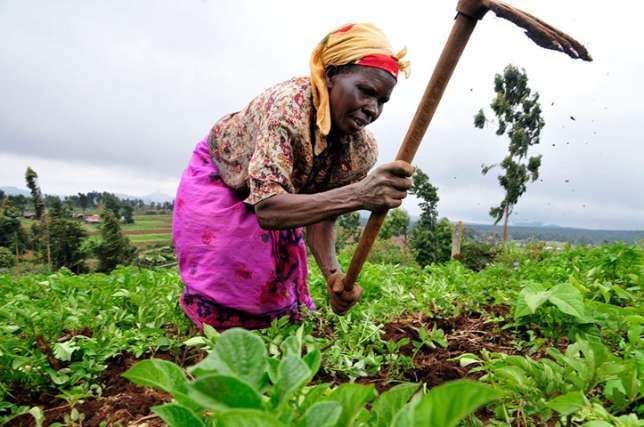 Agriculture is broadly defined to include the production of food crops, livestock, fish and poultry and agriculture therefore produces food for human consumption and to feed industry. 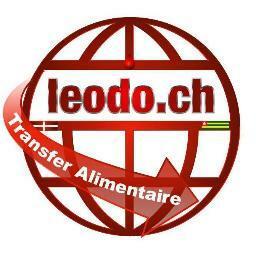 It is also serve as a source of food supply, as a source of raw material, reduces the rural-urban drift, as a source of employment, as a foreign exchange earner, revenue from taxes on agricultural products with other indispensable benefit on our economy. The government of Ghana also earns income from the taxes that are imposed on agricultural export commodities. In a year where the price of Ghana’s major export commodity like cocoa does well on the export market, the windfall goes directly into the coffers of the country. The agriculture sector remains one of the fundamental drivers of a strong Ghana’s economy. However, over the past decade, due to the increasing adverse effects of Galamsey on land and water, the agriculture sector has seen steady slow growth, and some of these rampant illegal mining activities are one of the major factors that has affected cocoa and other crop productions in the country this is because after witnessing a major slump in growth in 2007, it is estimated that the agriculture sector will grow at an average of 3.3% yearly until 2018 while contributing just only about 25% to the nation’s Gross Domestic Product (GDP). Water is also one of the most essential elements of the human environment and as we are all aware, water resources generate development in socio-economic issues which is crucial to the society in general and more specifically for industries and public consumption in our country Ghana. According to Hungarian the Nobel Prize winner Albert Szert-Gyargyi once said, “Water is life” and “there is no life without water.” if the water resources are contaminated, so is life. Therefore, providing clean drinking water for the growing population of Ghana is one of the most pressing issues that we should stand against Galamsey activities that destroy our water bodies and farmlands in the 21st century to redeem the country from the enemy. The pollution of rivers by Galamsey also has negative effects on the activities of the Ghana Water Company in its mandate to provide safe drinking water to Ghanaians in the recent years. For instance, a few years ago the Ghana Water Company shut down a water treatment plant due to the fact that chemicals used for treating polluted water had become expensive. The company also had to shut down its water treatment plant at Kyebi for one-and-half years due to the pollution of the Birim River due to the same Galamsey activities in those areas. A study conducted by the International Growth Centre (IGC) an organization that documents Galamsey operations and their environmental impacts, revealed that an estimated amount of $250 million is required to reclaim lands and water bodies affected by these illegal mining (Galamsey) activities in the Western Region alone. What will be the cost of other regions and the total cost of the entire country then; we cannot idly sit by and mind our own when a few people are causing such a bad precedent and irredeemable destruction of our natural resources. Looking at all the advert effects of these small scale mining activities caused by our indigent and foreigners, that has a direct life degradation on our existence, the time has come for government, civil society, NGOs, traditional religious authorities and well-meaning Ghanaians to move away from the rhetoric and take more decisive action to trunk the ‘Galamsey’ menace which threatens our endurance and our ability as a nation to achieve the goals outlined in the SDG framework by 2030. The fight against ‘Galamsey’ is a fight for survival for today and our future generation. Governmental agencies such as the Environmental Protection Agency, Water Resources Commission, Forestry Commission and District Assemblies must be seen to be working. 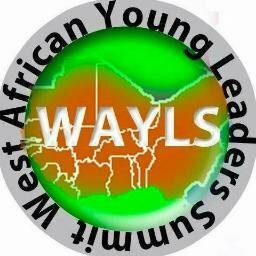 They must deliver on their mandate at safeguarding the environmental sanity of our motherland. We must save our arable gifted lands from God; we must save our eco-system from degradation and pollution. Yes, we can and yes we must, at all cost in order for our generation to come and enjoy natural filtered water and food for their survival. At the moment, all the major rivers in Galamsey prone regions are, including the Oda, Kowia, Nyam, San and Fena, have become heavily polluted. Farmlands have also been destroyed and very large areas dug in search of gold. Not even buildings are spared, as in some of the towns galamsey operators have dug close to dwelling places. If care is not taken, people of the area will go outside their communities in search of food and water.